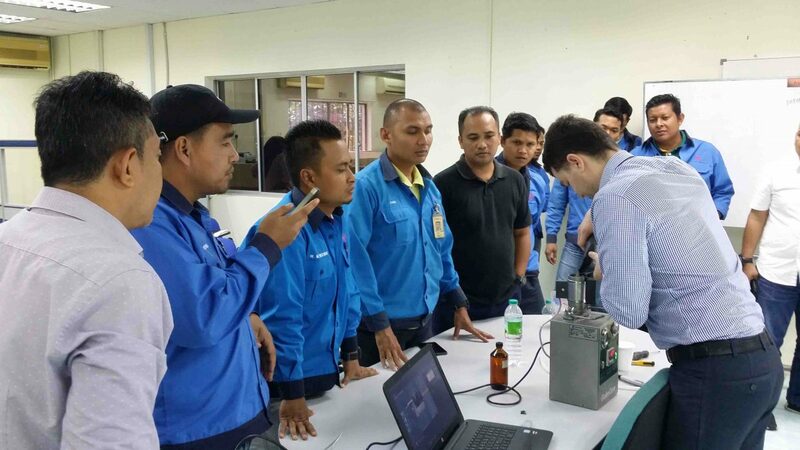 The oil treatment station CMM-4/7 commissioned in Kuala Lumpur - ! 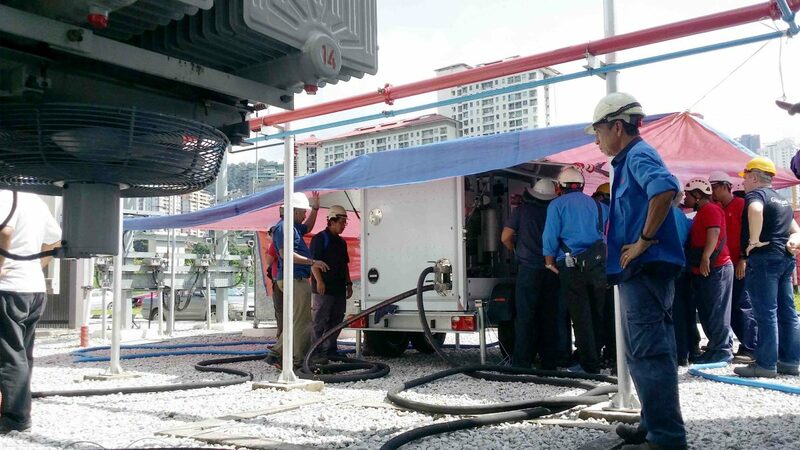 Equipment for Transformer Oil Reclamation. 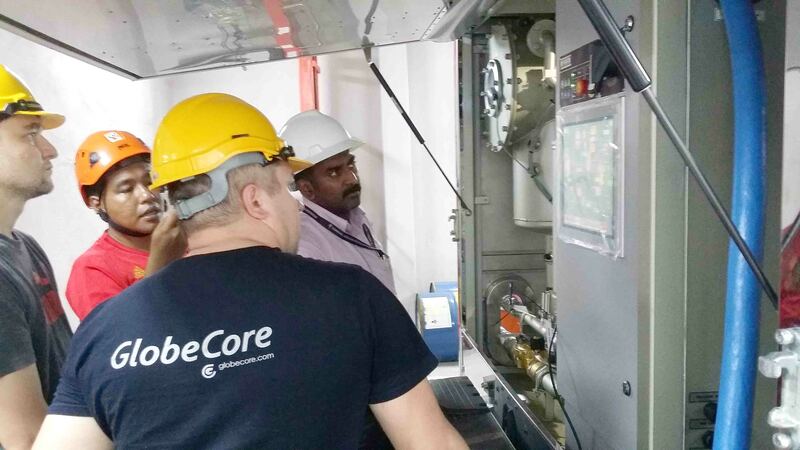 GlobeCore. 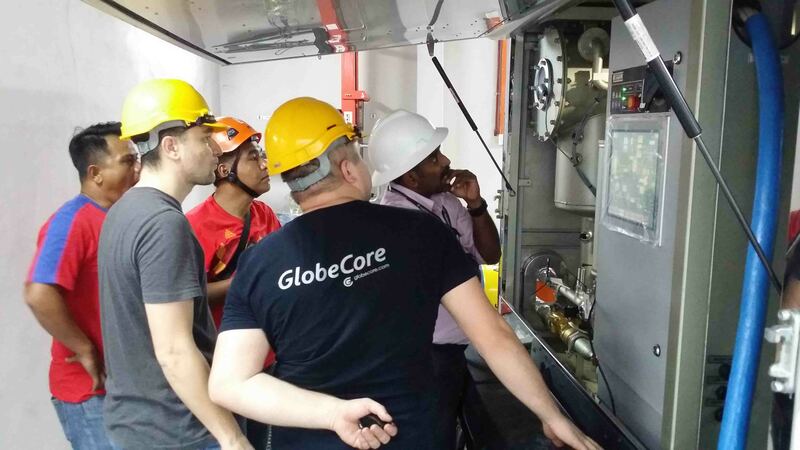 January this year, the engineering team of GlobeCore came to Malaysia (Kuala Lumpur), to present and commission equipment. 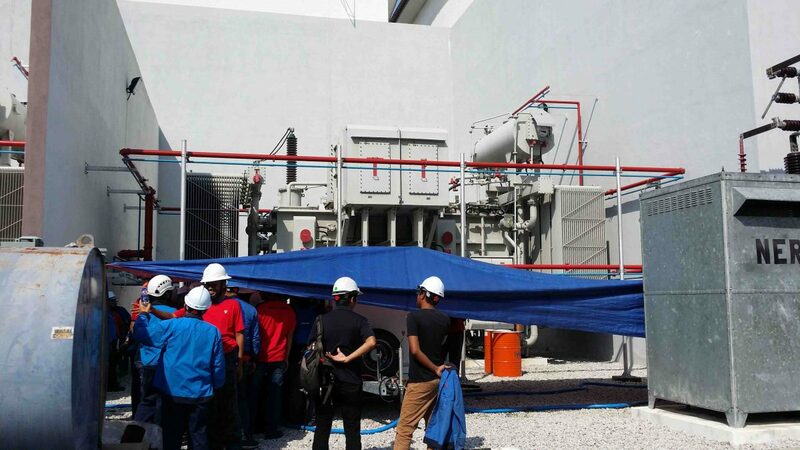 This time, the CMM-4/7 unit was put into operation, designed for degassing, drying, cleaning from impurities and heating transformer oils used in power transformers. 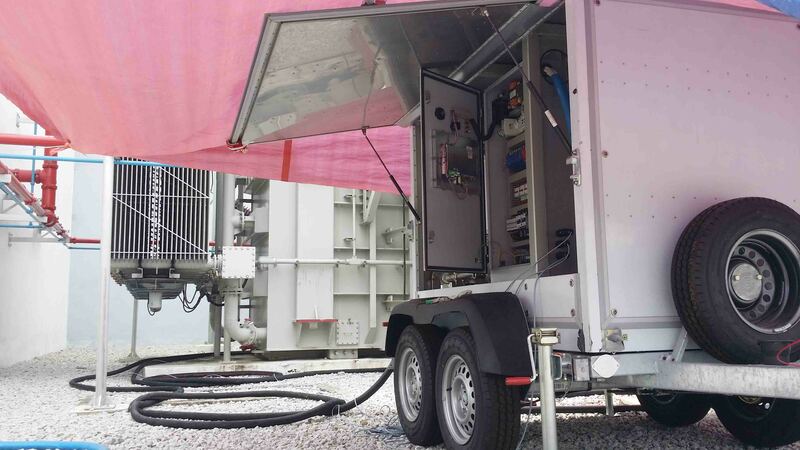 This equipment is multifunctional, as it can also perform heating of oil-filled equipment with hot transformer oil, vacuum drying and vacuum treatment. 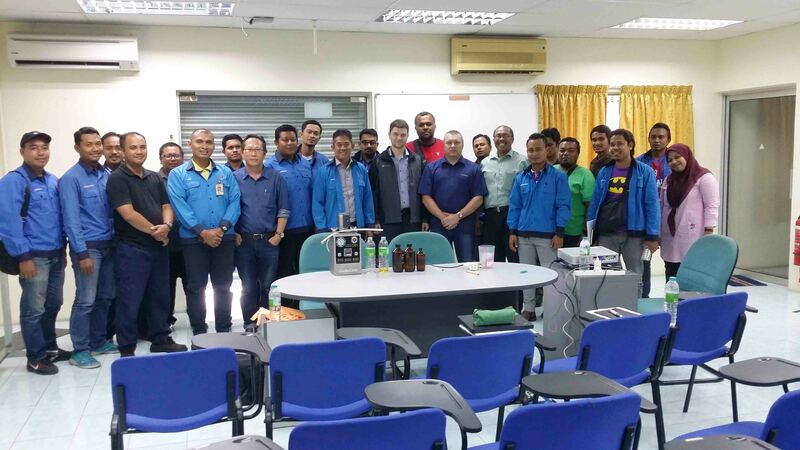 ISO 4406 class of industrial purity – – / 14/12. A distinctive feature of this commissioning was connection of the oil station to an energised transformer with a TSS security system. 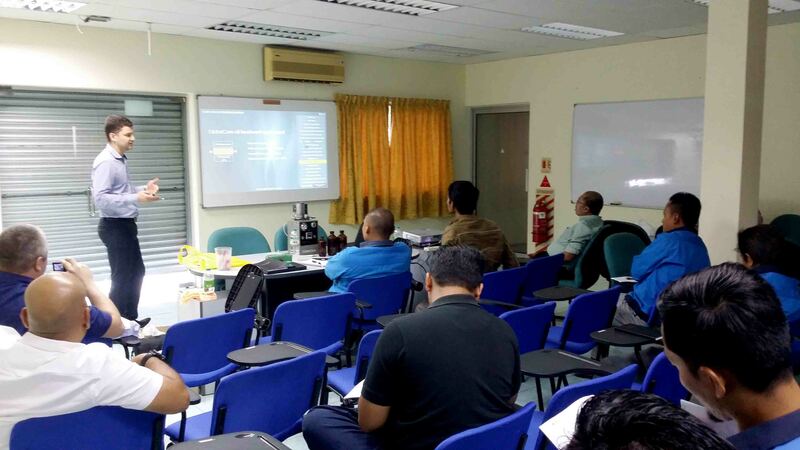 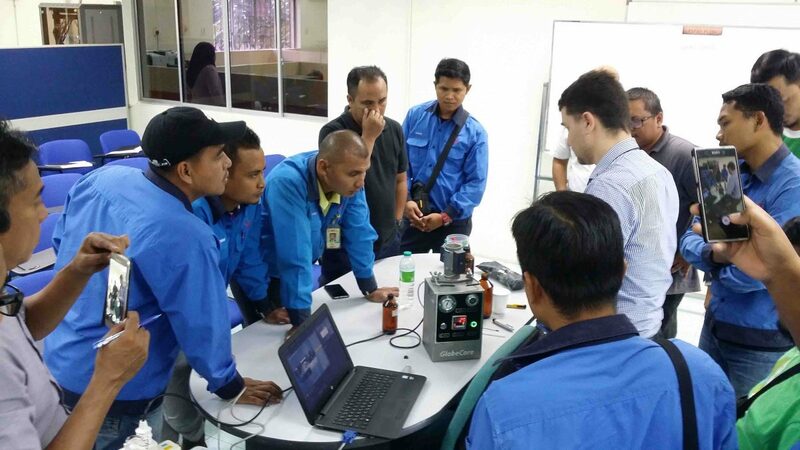 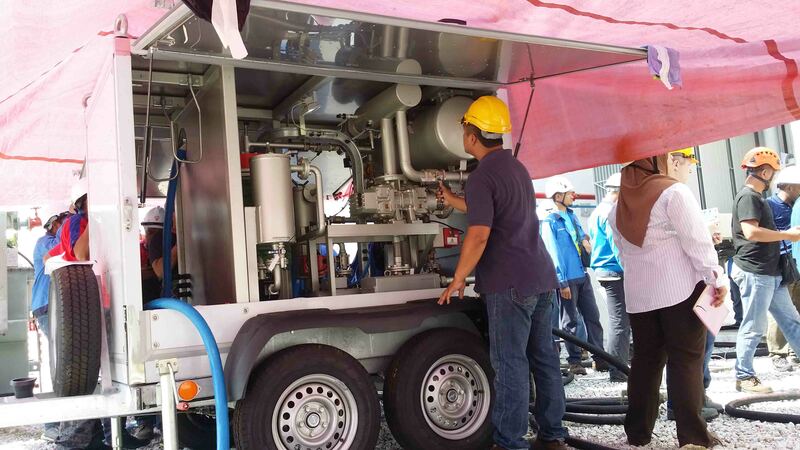 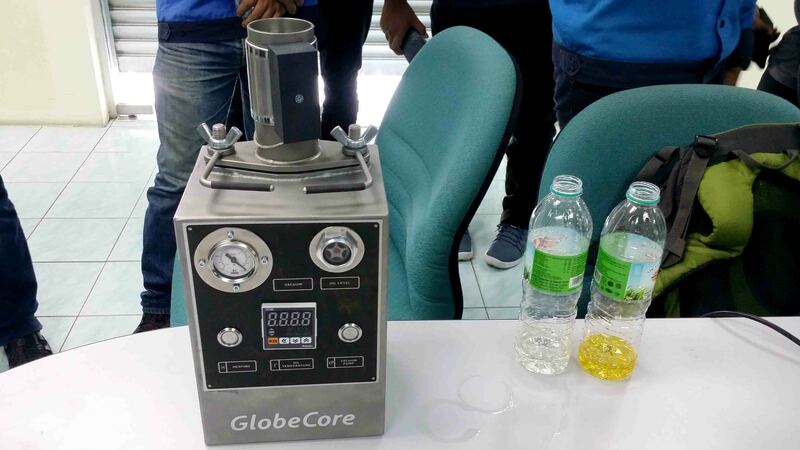 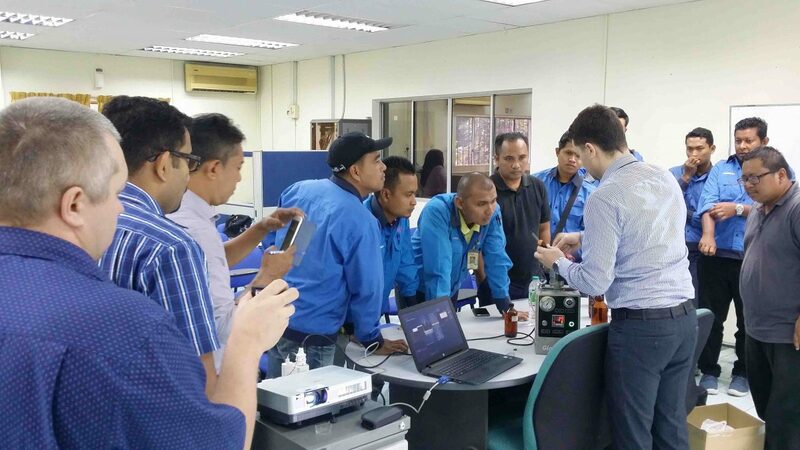 At presentation, our employees brought the representatives of the electricity sector in Malaysia up to date with the capabilities of the GlobeCore equipment, and demonstrated the features of oil regeneration using the laboratory version of the UVR oil station.